Manchester United have reportedly decided they’re open to loaning a few players out before the end of the January transfer window. It has been, perhaps unsurprisingly, a pretty quiet January at Old Trafford, with the latest update from the Manchester Evening News not exactly one to set pulses racing. The report states that the most likely business between now and the end of the month will be young players leaving the Red Devils on loan. This could of course be good news for some highly-rated young talents like Angel Gomes, who are not quite ready yet to make the step up to playing regular first-team football for us. 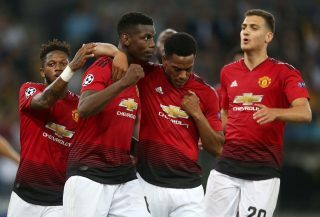 Ole Gunnar Solskjaer has shown a willingness to trust some academy players, but it could also make most sense for them to continue their development elsewhere for now and come back better players next season. United are in a great run of form right now but at least one defensive signing really wouldn’t go amiss if the club can pull something off late on this winter!